‣ Download your recent, unread, or all of your bookmarks for offline reading (including full webpages, with HTML, CSS, & JS). 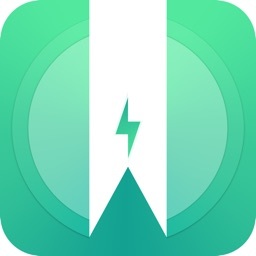 ‣ Search bookmarks at ridiculous speeds across titles, descriptions, URLs, and tags. 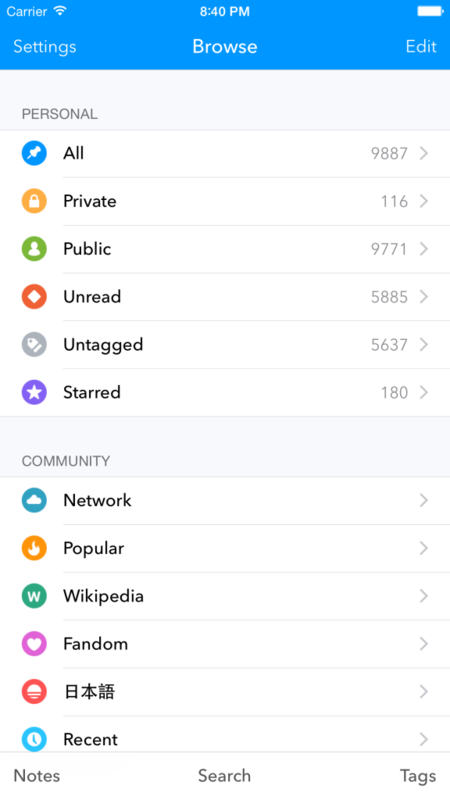 ‣ Easily navigate to unread, starred, private, untagged, or public bookmarks (or custom feeds, such as unread+starred, of your choosing). 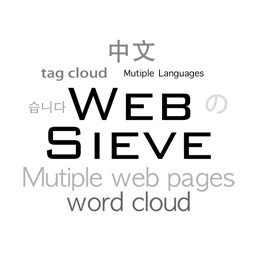 ‣ Browse Recent, Network, Popular, Wikipedia, Fandom, and Japanese feeds. 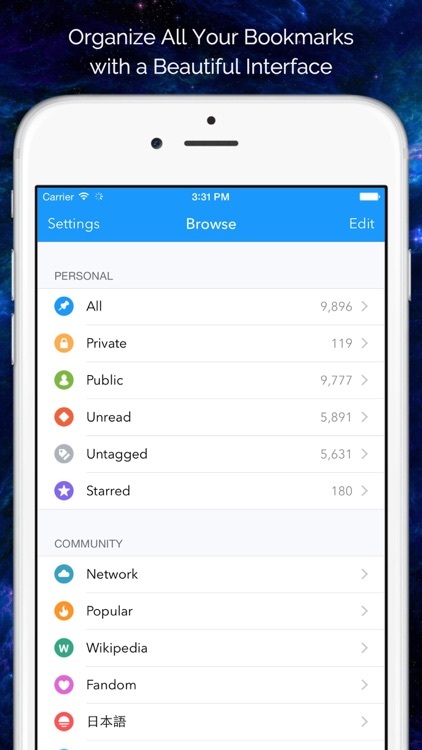 ‣ Hide, show, and reorder both personal and community feeds to suit your tastes. 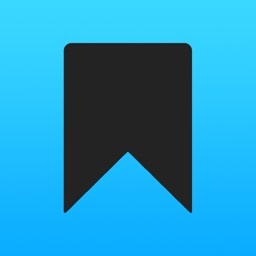 ‣ Send links to Pocket, Instapaper, or Readability. 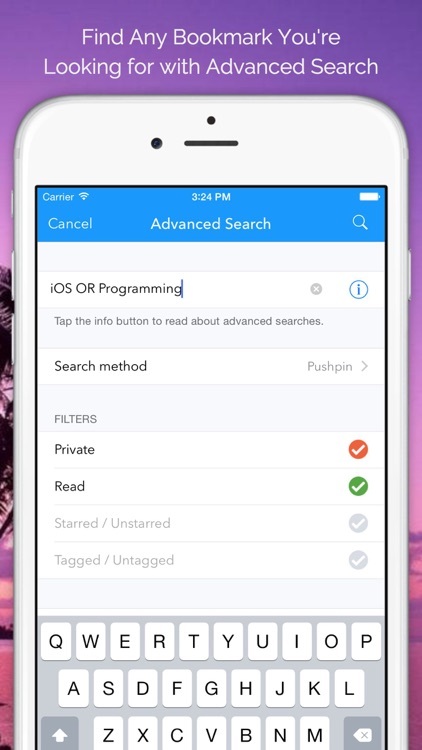 ‣ Save your searches and set them as your default feeds when you start up Pushpin. ‣ View tag autocompletions when adding or updating bookmarks. ‣ View and save feeds for specific users and tags, or any combination of the two. ‣ Browse and edit your tags, and view the number of times they've been used. 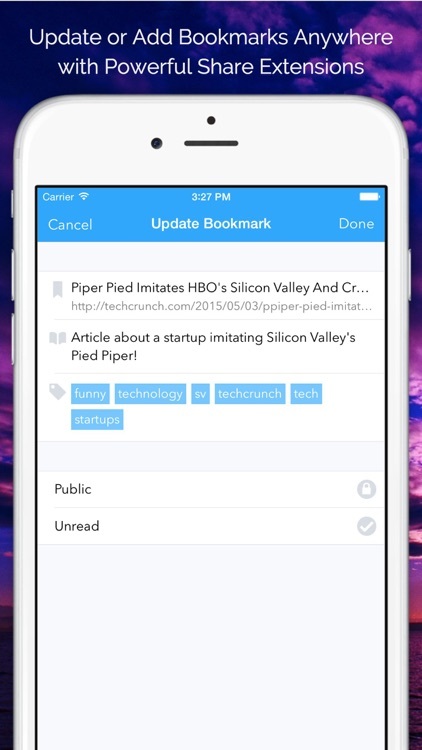 ‣ Add a bookmark by switching to Pushpin with a URL on your clipboard. 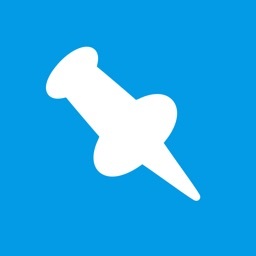 ‣ Share extensions for quick saving to Pinboard from any app that uses that built-in iOS share sheet. ‣ Built-in iOS Spotlight integration. Search your bookmarks from anywhere. 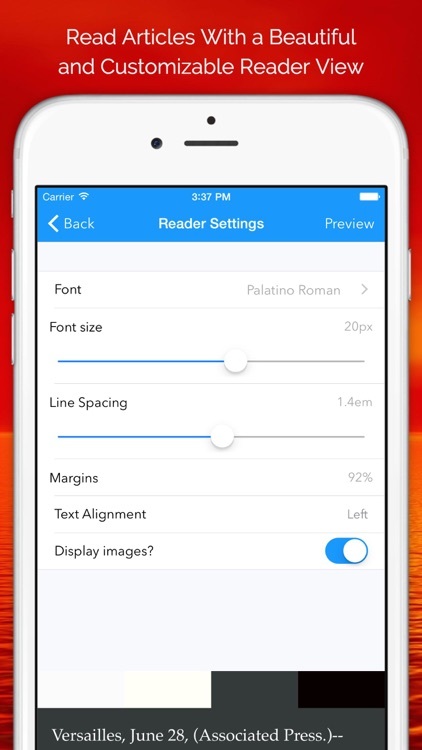 ‣ Fully customizable, native reader view (powered by Readability). ‣ Change the font, margin, background color, and line spacing. 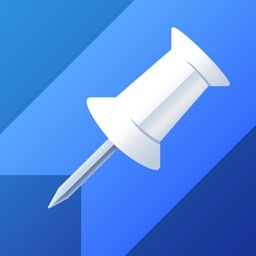 ‣ Share bookmarks to any app supporting iOS 8 share extensions. ‣ Flex and Brando from Bold Monday. ‣ Lyon from Commercial Type. ‣ Batch editing! 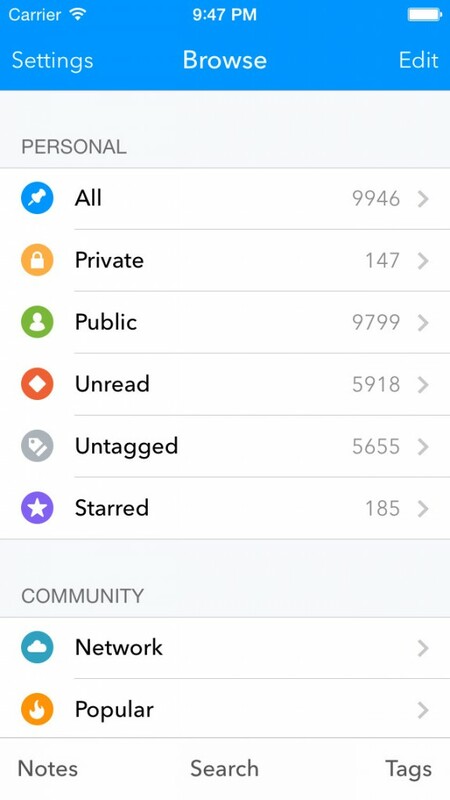 Easily add or remove tags, change privacy, or update unread status for multiple bookmarks at a time. ‣ Native integration with 1Password. ‣ Extensive URL scheme for adding bookmarks on the fly, opening URLs with the in-app browser, or viewing feeds for users or tags. Pushpin, a popular and powerful Pinboard client, received a huge update today that brings many new and welcome features. 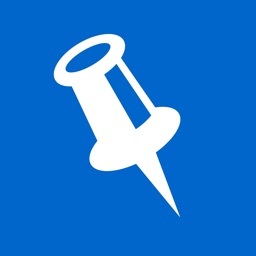 Pushpin for Pinboard has just pinned another significant update.